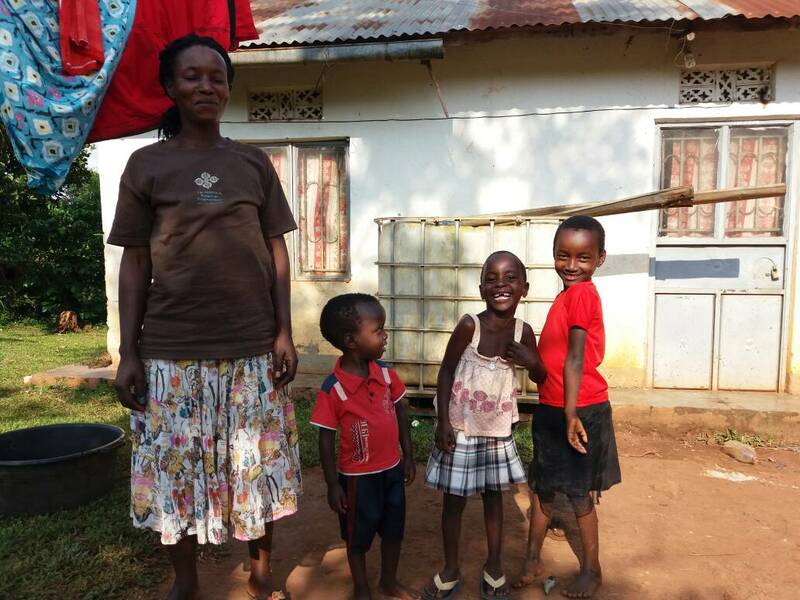 Due to the guidance and help they received from Wamukisa, the GRY family has increased their daily net income by 5,428 UGS ($2.52 USD). 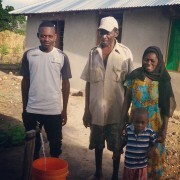 Before Wamukisa opened a public water distribution point, the family had to fetch water from a spring located 800 meters downhill from their home or purchase 10 buckets of water delivered by motorbike for 7,000 UGS ($3.25 USD). Now, they are able to purchase the same amount of water from Wamukisa for 2,000 UGS ($0.90 USD). The GRY family lives in Kikondo village, Mipigi district, and includes both parents and 7 children, 4 girls and 3 boys. The girls range from 3-6 years old and the boys range from 13-16 years old. 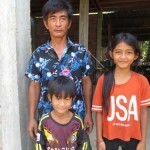 The boys currently attend Destiny School and the girls hope to start school next year. 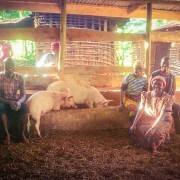 On the families’ 4-acre farm, they have animals and crops that the children help take care of. 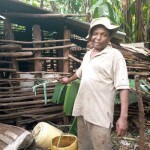 The family has 2 cows, 4 goats, 4 pigs and they grow food crops such as corn, beans, bananas, cassava, and sweet potatoes. 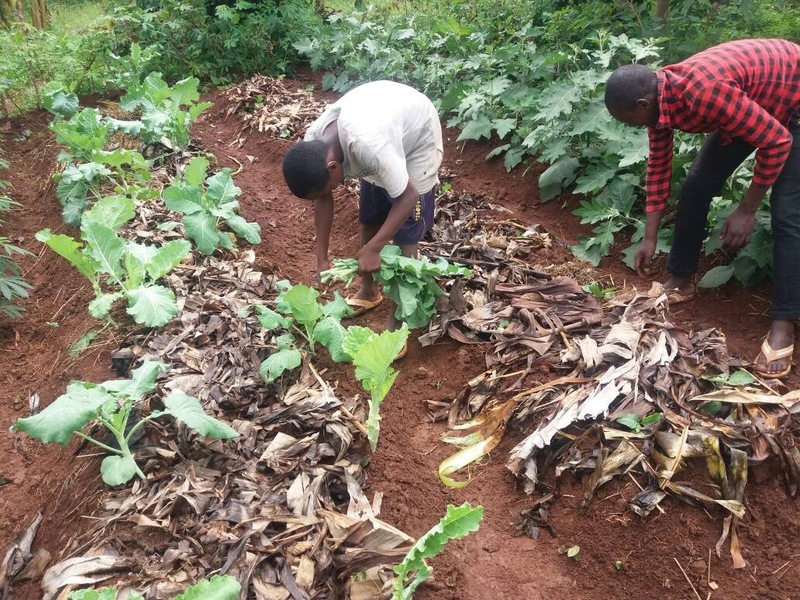 Previously, the GRY family was unable to grow vegetables due to lack of experience, but after attending training sessions with Wamukisa, the family has been able to grow and maintain a vegetable garden on their farm. They are able to sell the vegetables that they grow to their neighbors, which brings in 3,000 UGS ($1.40 USD) per week. With the income they have earned, they have been able to purchase a water tank for their farm so that they can harvest rainwater. The father of the GRY family says that the health of his family has greatly improved now that they are able to grow and consume vegetables. Their improved diet means they don’t suffer from respiratory infections like the flu as often as they used to. 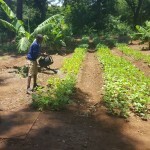 The dry season poses a potential challenge for the GRY family because during that time the garden dries up, which creates non-productivity since they are unable to irrigate large gardens. However, the GRY family is hopeful and looking forward to expand their gardens in the land that they already have in order to develop it into a profitable business. Also, they hope that one day that the Wamukisa waterline will be extended to their home so that it will help make water even more accessible.